Make your wedding perfect, meet with experts as you sip champagne and sample the best hors d'oeuvres provided by Blue Chip Casino, Hotel & Spa. 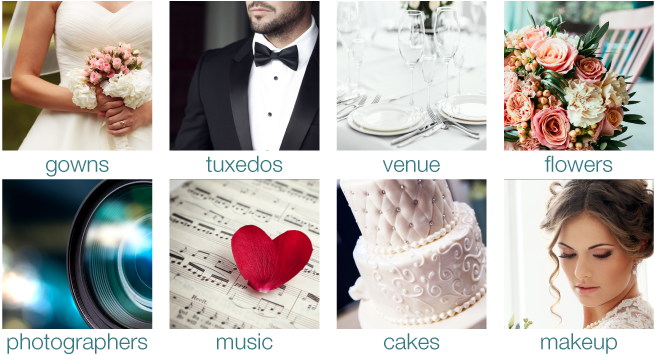 Visit vendors throughout Northwest Indiana and Southwest Michigan showcasing the latest wedding fashions and trends to make your wedding day magical. Bride Blu is your one-stop-shop to all things bridal, bringing together bridal gowns, tuxedo shops, hair and makeup stylists, photographers, videographers, DJs, caterers, florists, dance studios, venues and the finest jewelers in the region. During the event we will be giving away prizes from our vendors leading up to the grand prize drawing for a trip to Las Vegas compliments of Blue Chip Casino, Hotel and Spa. Here is what you will experience at the 2019 Bride Blu Bridal Fair. Bring your bridal party, friends and family to share in your experience. Register for FREE today! $5 at the door. Register today and you will be entered into a drawing for a trip to Las Vegas. This is your One-Stop-Shop for all your wedding planning needs. Would you like to be a vendor? Call Jim Pellegrini at 219-933-3247 or email james.pellegrini@nwi.com to request information.